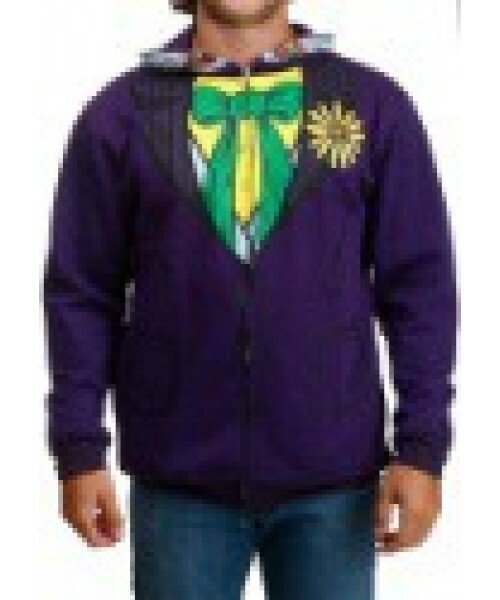 This Joker Costume Hooded Sweatshirt features a built in mask that zips over your face for a quick and comfortable costume option! You'll stay warm and look like a terrifying Batman villain in this Joker Costume Hooded Sweatshirt. 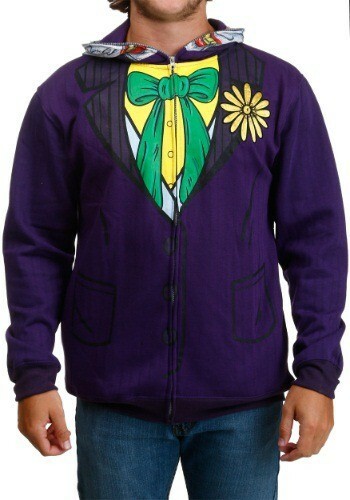 The front zips all the way over your face and features a mesh, printed mask of the Joker's scary painted face.